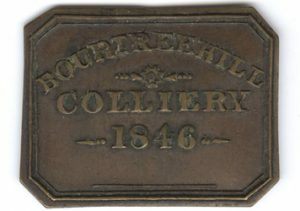 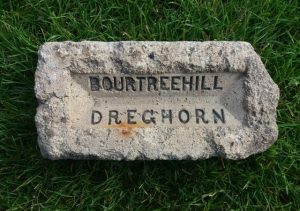 Bourtreehill Fireclay Works, Dreghorn, Ayrshire. 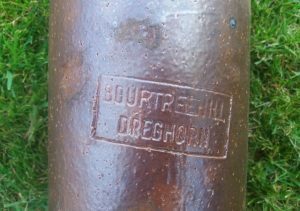 Photographed by Martin Sneddon in the Ayrshire area. 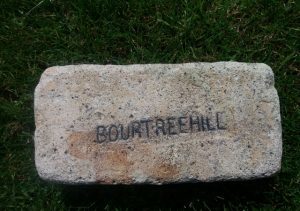 I am not in possession of this example. 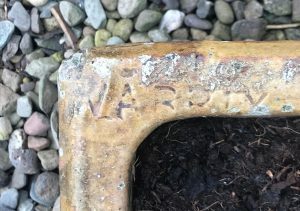 There may also be another word stamped above Warrix but it is unclear. 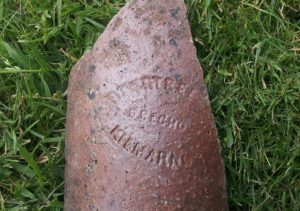 Warrix Fire Clay Works, Irvine, North Ayrshire. . . .
Found Glasgow. 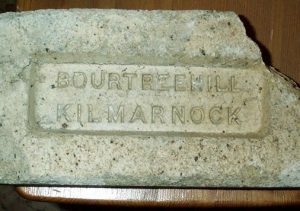 Bourtreehill Fireclay Works, Dreghorn, Ayrshire . . . .
Found at Auchenmade, Ayrshire and kindly donated by Jim Archibald. 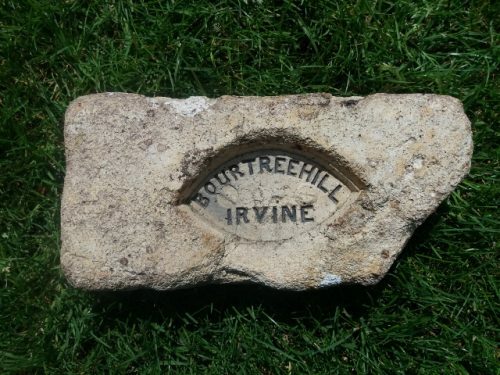 Bourtreehill Fireclay Works, Dreghorn, Ayrshire . . . .
Found at Bourtreehill Fireclay Works, Dreghorn Bourtreehill Fireclay Works, Dreghorn, Ayrshire. 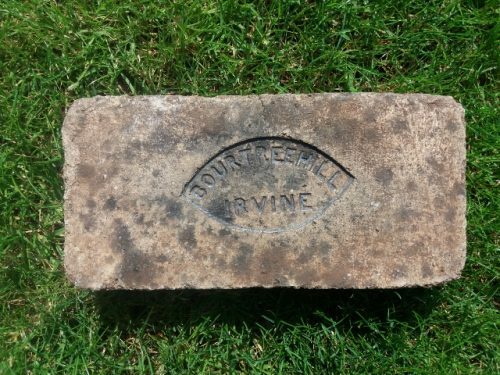 . . . . Below – The same stamp on a salt glazed paver or byre / stable block. 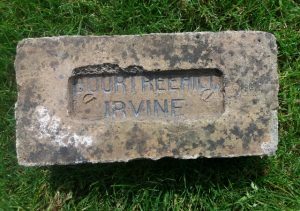 Found by Tucker Kennedy in the Irvine area of Ayrshire. .
Found at Leith by Ian Suddaby Bourtreehill Fireclay Works, Dreghorn, Ayrshire. . . . . . Below – Found at Bourtreehill Fire Clay Works, Drummuir Farm, Ayrshire. 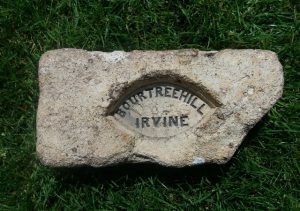 This is a section of wall coping still in place on top of a wall separating the road from the Bourtreehill Fireclay Works .